Goose ham - OCA SFORZESCA S.r.l. 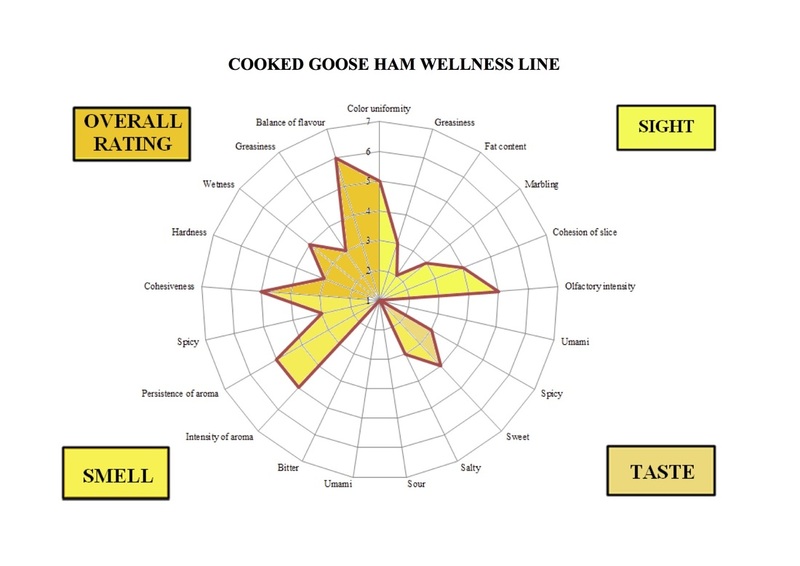 The goose ham is a light and delicate cooked product with a fresh fragrance for healthy people. These cooked goose ham, 100% goose without pork meat, is made with the goose’s skin case, stuffed with seasoned lean goose meat (leg and breast). At first, the goose meat is seasoned with the other ingredients (flavourings, spices and Cervia's sea salt). Then it is packed under vacuum and cooked in oven for at least 3 hours. At the end of the cooking process immediately refrigerated to keep the right moisture balance and its light taste. The cooked goose ham should be eaten for breakfast, for different food combinations and for first courses accompanied by bread or grissini and mayonnaise. It can also be used to make toast, sandwiches, for rice salad or on the pizza. It can be grilled too. It is also suitable for particular dietary needs. Free of allergens (gluten, lactose, celery, nuts etc.). It comes in 4,0 - 2,0 - 1,0 kg packaging. Packed under vacuum in one peace. Shelf life whole peace 90 days.